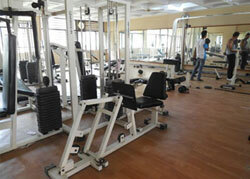 The College provides many facilities for sporting activities within its campus. There are provisions and equipment for different sports. It is therefore no surprise that students of Galgotias have over the years won accolades for sporting events. Galgotias has well developed Football, Cricket and Volleyball play grounds. 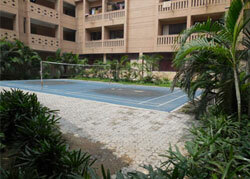 The hostel blocks are well designed with a central open court for Badminton and a separate Basket ball court. 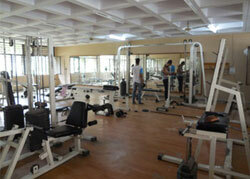 Hostels have well equipped gymnasium and recreation hall with table tennis, chess, carom etc. A separate Billiards room and music room is designed to groom up students with different liking. These facilities facilitate students in exploring new areas and take up their hobbies to next level. Games and sports are organized through the Sports Club. In addition to facilities a full time dedicated staff consisting of a physical Instructor has been provided to help students in every way possible.